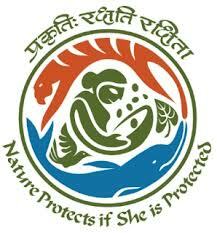 On Monday 8th of October the India COP 11 on Convention on Biological diversity was declared open. Many the guests present in the room. Among them, Braulio Ferreira De Souza Dias - United Nations Executive Secretary of the Secretariat of the Convention on Biological Diversity; the Central Environment Minister of India , Ms Jayanthi Natrajan; Ms. Amina Mohamed- Rep. Of Executive Director UNEP; Mr. Kiran Kumar Reddy -Hon. Chief Minister of Andhra Pradesh; Mr. S Vijaya Rama Raju - Minister of Forest , Environment , Science & Technology; Mr. Hoshino Kazuki - Rep. of Environment Minister Japan. During his opening speech, Braulio Ferreira De Souza Dias urged the presents on securing that the targets for 2011 will be achieved in the short term, so that the Protocol can start be effective soon. He said that best practice should be shared between the nations, because negotiation have, so far, achieved nothing but making times for a proper adoption of the protocol longer. Most importantly, references were made to the current financial crisis that the world economy is encountering. At the COP11, that is seen not as a threat or delay towards strategies for biodiversity conservation, but as OPPORTUNITIES - to REDUCE COSTS, REDIRECT RESOURCES, MOBILIZE FINANCE on RELEVANT AND PRIORITY AREAS of Biodiversity Conservation. The relation between biodiversity and financial mechanisms is the main issue discussed in the side events of the convention. 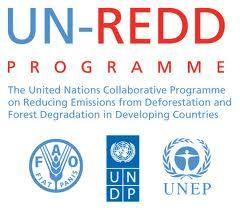 Payment for ecosystem services, Ecosystem services valuation, TEEB, REDD and REDD + are just few of the points to be further discussed. For the following days there will be two groups working separately at the Convention. The first will focus on Marine and islands Biodiversity; the second on the status of conservation and the Aichi targets. The COP is vibrant with different press conferences by different nations, a biodiversity fair, a public awareness camp. And one only feels like a little child lost at a fair.... who wants to be everywhere, but can’t decide where to be.